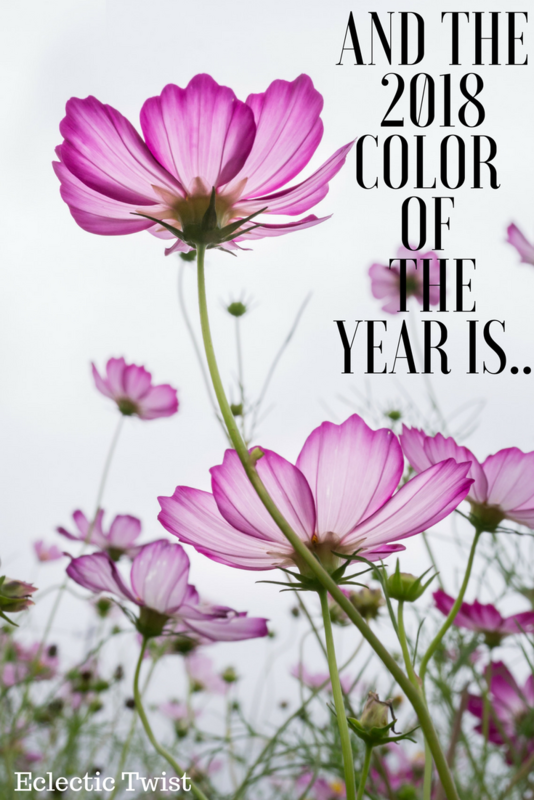 And The 2018 Color of The Year Is……. How do you use purples in your home though you ask? 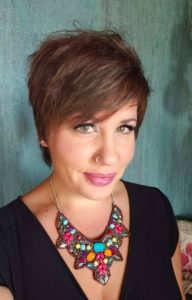 It’s actually a much more versatile color than you think! And you don’t have to use a bold shade like the ultra violet to feel current. Purple in and of itself gives a similar feeling (without the bold factor depending on shade) and can be calming on top of it. 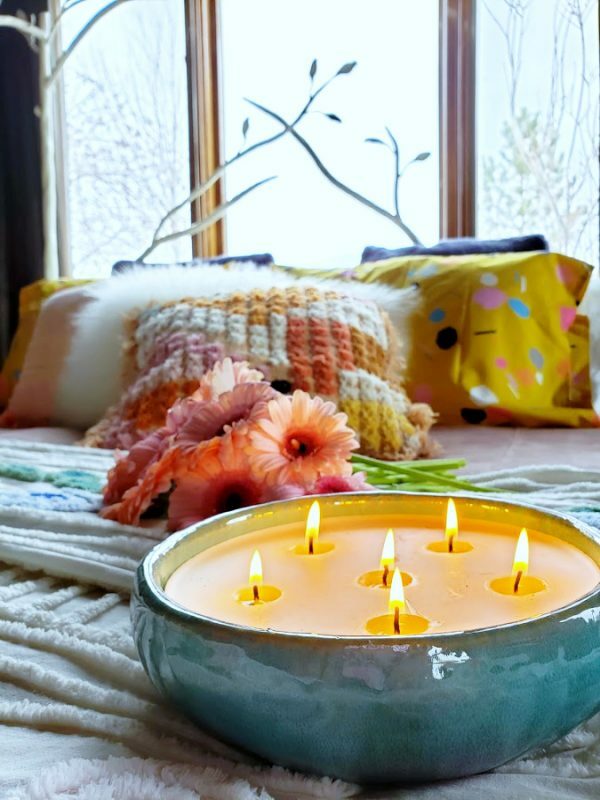 Here are a few ways I use purple in our house to help inspire you to try it too! 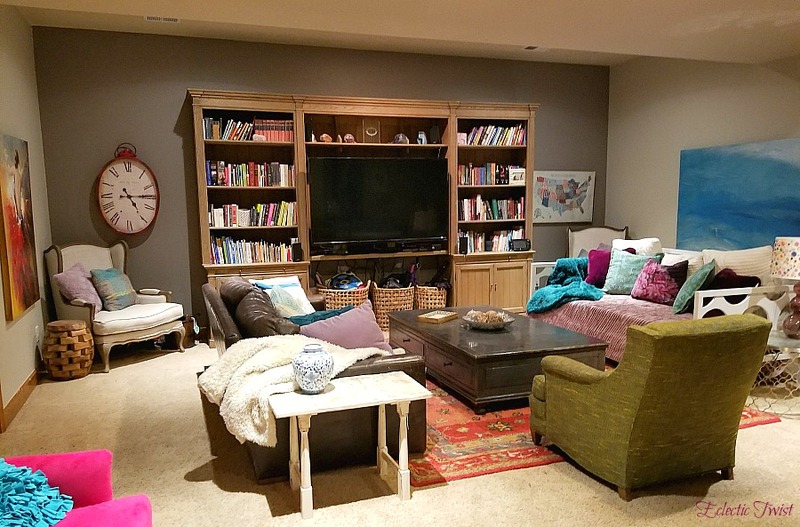 Here’s our basement family room. 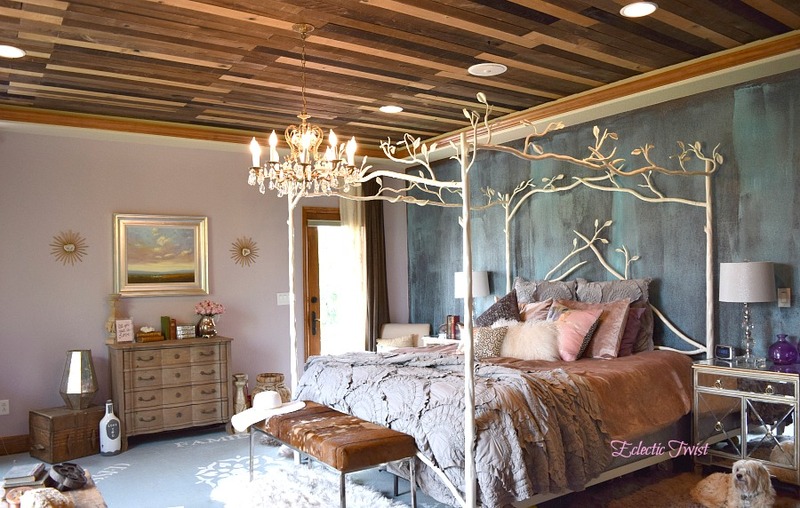 The accent wall is actually a gray purple in a medium to dark tone. 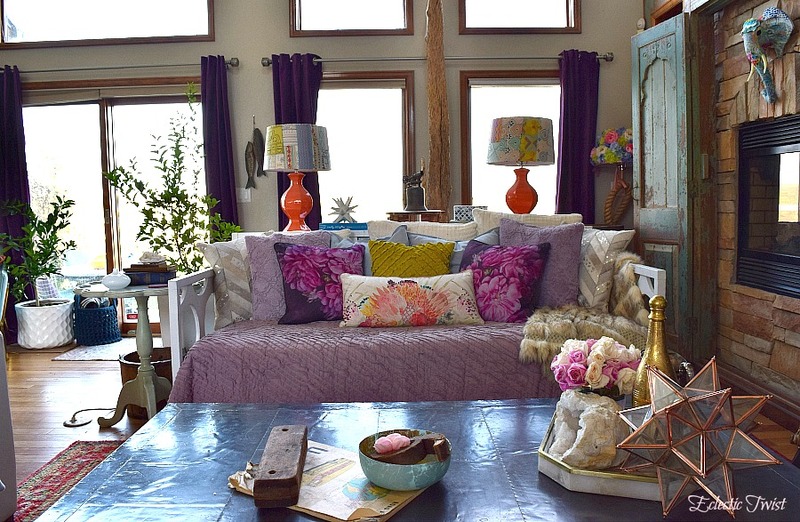 Then I blend it with the purples in the throw pillows on the chairs and the more vibrant purples on the daybed. Purple is such a rich royal color! Here’s the daybed when it was in the upstairs living room last fall (see more of this set up here) and you can see the deep purple drapes in the background. Touches of purple can have just as much impact! You don’t have to feel as though you need to paint whole rooms or have everything purple, used in small doses it’s just as beautiful. Here’s my vanity area in the corner of the room. 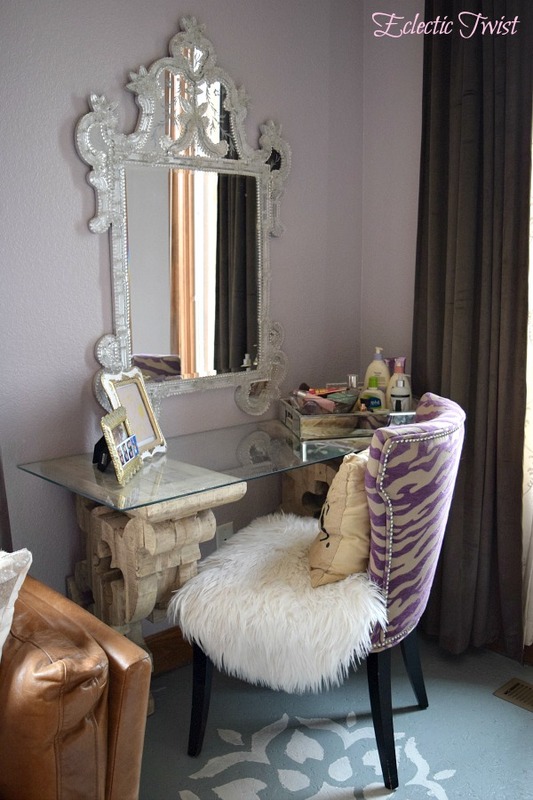 You can see the soft purple color on the walls and the bold purple pattern in zebra print on the chair. 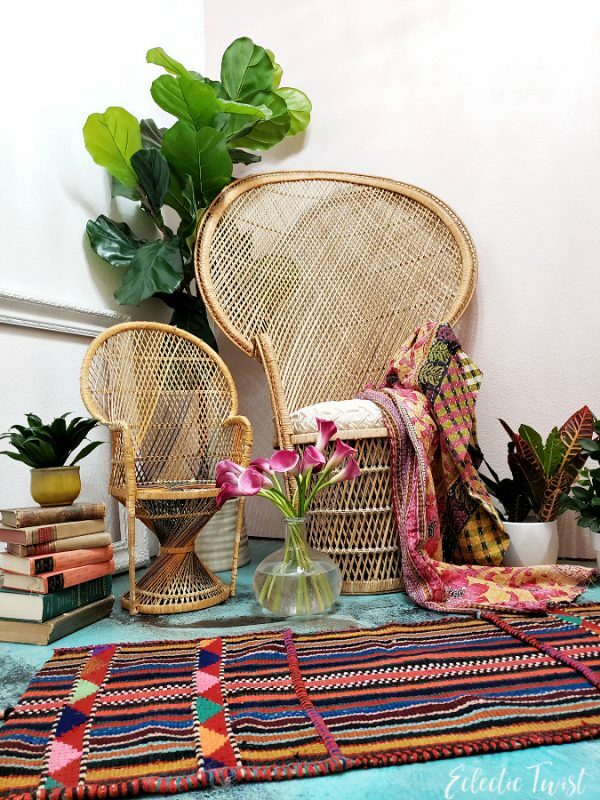 Don’t be afraid to mix and match shades for extra interest! 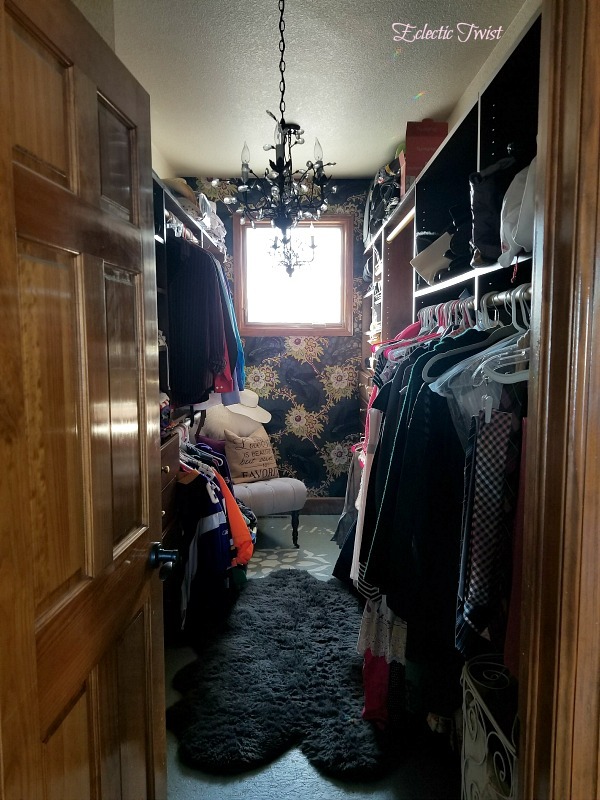 This is our closet and it’s tougher to tell here with the light, but the wallpaper has a bright purple in the center of the flowers in the pattern. Doesn’t this paper feel so luxurious?! Do you love or hate purple? 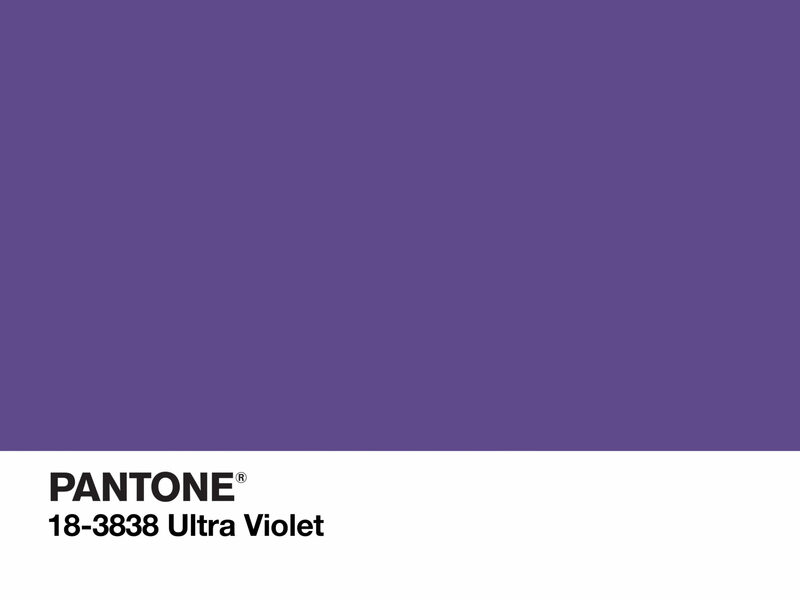 What do you think of ultra violet being the color of the year for 2018? I’d love to hear your thoughts below in the comments! Small Change That Equals Big Impact! When Pantone announced that color I wasn’t impressed, but then I realized I already had the color around my bedroom… Duhhh.. I do like purple but I don’t think on the walls.. I love your purple around the house!! Thank you Jamala! It’s definitely a more bold/risky choice for walls especially the ultra violet hue. I love that you use it in accents, it’s such a great color!